Swan Lake, Thomas Bay. Photo by KFSK radio. Another company out of Washington just won permission to study the potential development of a new hydro-electric plant at a mountaintop lake within the Petersburg Borough. The federal government has awarded a preliminary permit for the Cascade Creek Project to Hydro Development LLC. The company’s plan is almost exactly the same as that of a previous permit holder which had earlier lost its bid to continue working on the controversial project. The Federal Energy Regulatory Commission issued the permit to Hydro Development LLC on August 29th. It allows the company three years to study the potential for a power plant at Swan Lake and Cascade Creek at Thomas Bay on the mainland, about 15 miles northeast of downtown Petersburg. It also puts the company first in line to submit a license application to build the project. “We’re just getting started on putting it together so this will give us the opportunity to go to it,” said Hydro Development Chief Executive Corky Smith, who owns the Olivine Corporation in Bellingham. According to Smith, Olivine mines the mineral of the same name and uses it in the manufacture of high-temperature burners that can convert wood waste to energy. He says that work prompted his interest in Hydro power. Smith has not yet lined-up funding for the project but says he can move ahead on that work now that he has the permit. He organized Hydro Development as a Limited Liability Corporation in Alaska in February 2012, a day before submitting the federal permit application. That was just a couple days after another Bellingham applicant, Cascade Creek LLC, had been denied a third preliminary permit for the same project. FERC filings are publicly available and Smith’s application language and documentation is nearly identical to Cascade Creek’s with one significant difference. Hydro Development wants to draw down Swan Lake as much as 40-feet to produce electricity. Cascade had proposed to stay within a six-foot seasonal fluctuation of the lake. 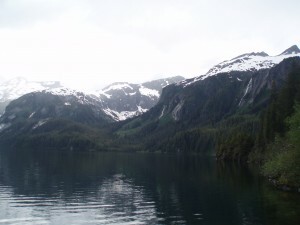 Swan Lake is a popular hunting, fishing, and tourism destination on the Tongass National Forest within the Petersburg Borough. The original proposal from Cascade Creek prompted extensive objections from many residents and local government as well as state and federal resource Managers who raised procedural, technical and environmental concerns. Barbara Stanley is the Forest Service’s Regional Energy Coordinator. For its part, FERC cited a lack of progress as well as concerns voiced by the resource agencies and local residents in denying Cascade Creek a third permit. Officials with Hydro Development and Cascade Creek have said their companies are not working together. In a letter last fall, Hydro Development’s Corky Smith told FERC that he had no business affiliations with Cascade Creek. “I think Petersburg’s main concern was holding on to a site without actually moving forward on the development,” said Borough Manager Steve Giesbrecht. SEAPA, the Southeast Alaska Power Agency, provides some of the lowest cost hydro-electricity in the state to its public member utilities in Petersburg, Wrangell and Ketchikan. The quasi-governmental agency is overseen by a public board of representatives from those municipalities. SEAPA is currently looking for new sources of electricity in the region. Hydro Development LLC’s Corky Smith said he hasn’t contacted SEAPA about his project. He said he hopes to move ahead on Cascade Creek but added that time will tell. Smith said he plans to hold public meetings to talk about it in Petersburg sometime in the next year. The FERC permit requires a progress report every six months.